When you notice your tire is damaged, it’s easy to assume you need a replacement. There’s no way it can be repaired like other parts in your vehicle, right? Well, that’s not the case anymore. Due to modern technology, technicians are now able to return a tire back to its original condition, and that’s what you can expect when you visit Mecklenburg Automotive & Collision Center in Charlotte, NC. Our ASE Certified technicians and professionally trained service advisors can quickly handle any problem your tires may have. Whether it needs a plug, patch, or a full replacement, know that our automotive team will have all the services your tires will need! Although a tire repair is convenient due to its relatively short service time (60-90 minutes) and cost effectiveness, there are qualifications it must go through in order for it to be deemed fit for a repair. These qualifications help us avoid repairing a tire that is fully compromised and sending it back out into the street. Please keep in mind that in order for your tire to be qualified, it must have both qualifications . If it fails even one of them, we will consider it unfit for service and suggest a replacement instead. In order for us to properly repair a tire, the first thing we look for is the location of the damage. To perform the repair, we need the damage to be within the treads of the tire as this area has the strength and rigidity to accept a repair. Regardless of how minimal the damage is, if it is found outside this area, we will consider the tire unqualified for repair and we’ll recommend a replacement. If the damage is within the treads of the tire, the next thing we look for is the size and type of damage the tire was sustained. 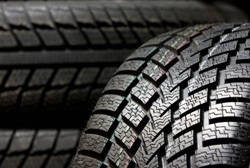 Industry standards allow us to repair a tire with damage up to ¼ inch or 6 millimeters in length and width. If the damage is beyond those parameters, we will consider the tire unqualified, even if it’s found within the treads of your vehicle. Along with that, any tire with severe scuffing or bubbles along the sidewall will quickly be considered unqualified. The next time you notice any damage your tire, don’t think about replacing them just yet. Instead, schedule your tire repair in Charlotte, NC with Mecklenburg Automotive & Collision Center! Our ASE Certified technicians and professionally trained service advisors will quickly determine if your tires are qualified for a repair and perform the necessary services needed to ensure your next drive is a smooth one. Give us a call at 704-461-2077 or visit our shop at 3227 Wilkinson Blvd and schedule your next tire repair service with us!